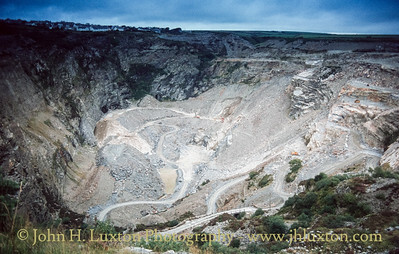 Delabole Slate Quarry is one of the largest slate quarries in England and has been operated continuously from the 15th-century making it the oldest working slate quarry in England. 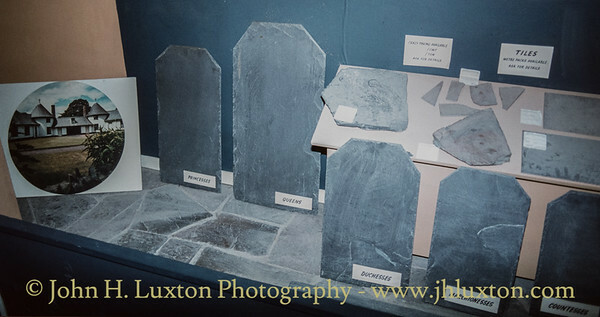 It is reputed that slate has been quarried here since the reign of King Stephen. In the reign of Elizabeth I the five quarries on the site of the now larger pit assumed considerable importance delivering slate to Brittany and the Netherlands. 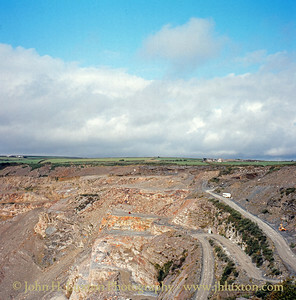 In 1841 the five quarries were combined to create the Old Delabole Slate Quarry. 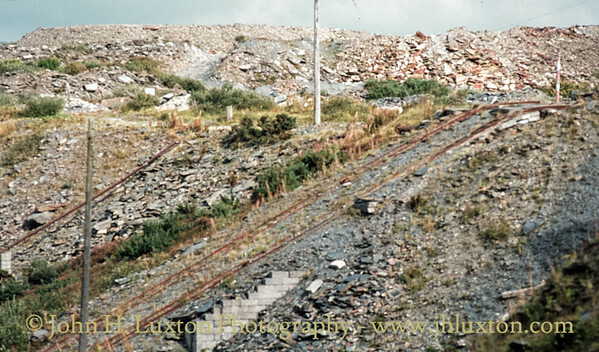 The Old Delabole Slate Quarry Ltd was liquidated in 1977 by the company's bankers. 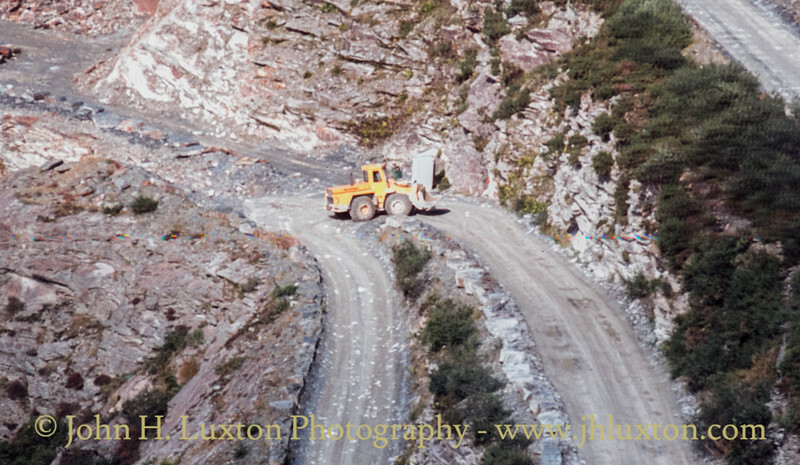 It was run under receivership by Rio Tinto Zinc until 1999 when a local management team bought it out. In 2005, the majority shareholders bought out the entire share capital, creating a single family ownership, the first time since 1842. In 1910, 500 people were employed at the quarry but this has since been reduced to 80, the decline due to the availability of cheaper roofing materials e.g. Welsh slate or prefabricated tiles. 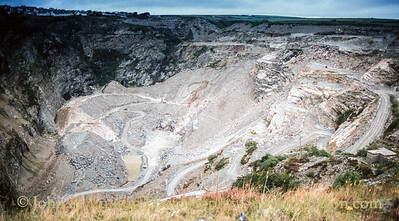 Delabole Quarry was once the deepest man-made pit in the world, but this is no longer the case due to massive open cast mines and quarries in America and Australia. 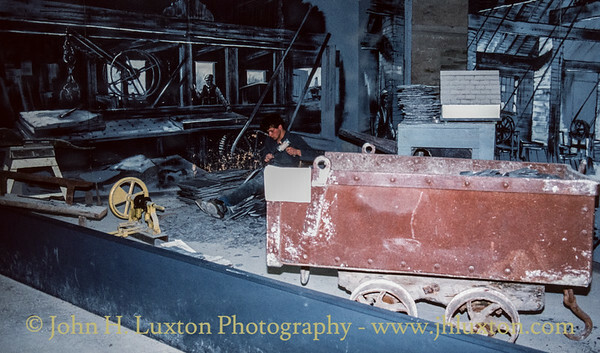 The quarry was connected to a narrow gauge railway worked by steam and diesel locomotives to move the slate: this is thought to have begun before 1834 and continued in use until after 1987. 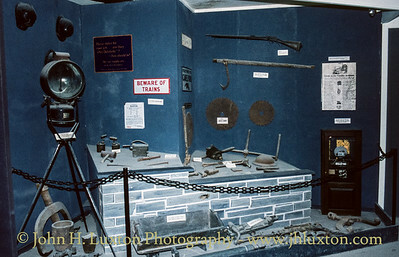 The North Cornwall Railway (Southern Railway) provided a freight service from Delabole between 1893 and 1964 (passenger services ended in 1966). A view of the quarry from the viewing platform. 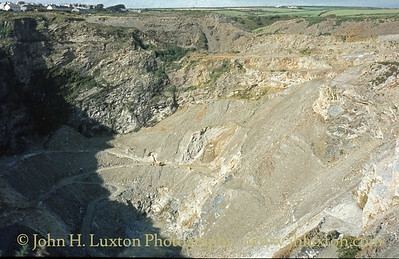 A view into the Quarry, once regarded as the largest open cast working in the world. 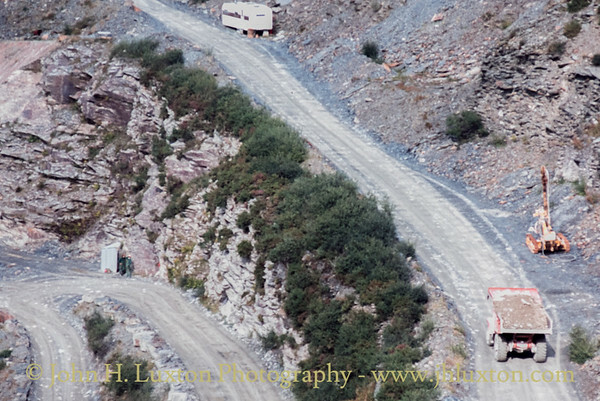 The zig zag haul road which made the quarry narrow gauge railway system redundant. Top of the former incline. 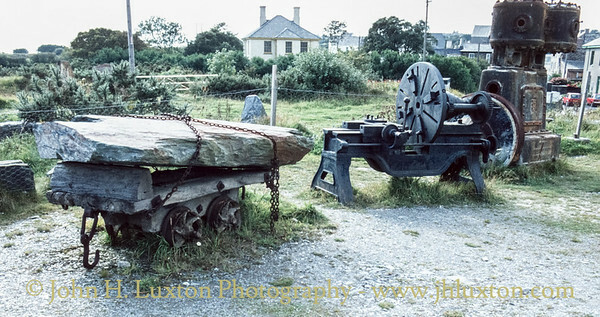 Unlike many Slate Quarries in Wales which had gravity worked inclines for the removal of product at Delabole the trains of slate wagons had to be hauled out of the pit. 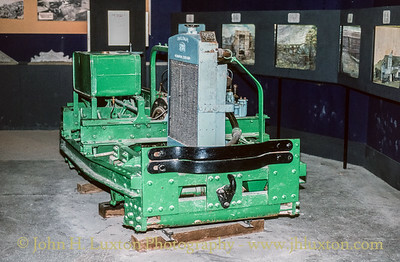 A MotorRail Simplex locomotive which was used at Delabole Quarry before road transport from the bottom of the quarry was introduced. 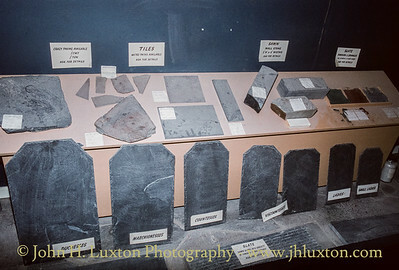 Slate Mill display in the visitor centre with a member of staff demonstrating slate splitting. 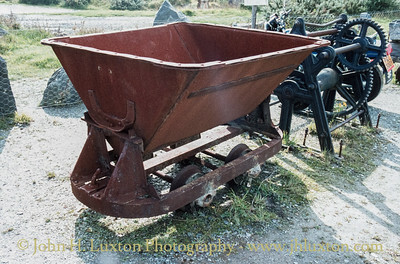 Hopper wagon from the former internal rail system. 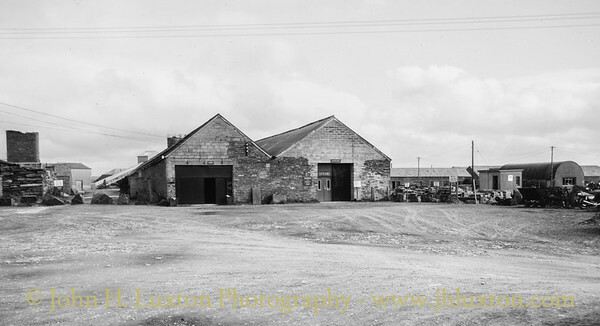 Slab wagon from the former internal rail system alongside a workshop lathe,. 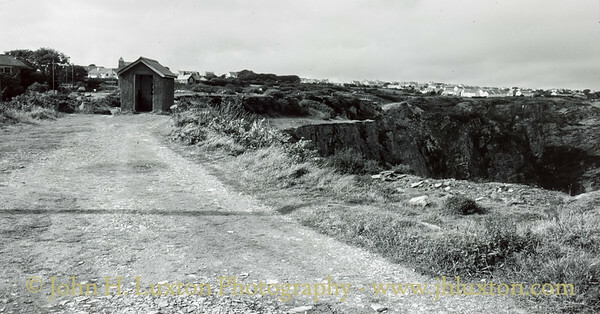 Route of the standard gauge siding to the North Cornwall Railway - the building is the former weigh house.